TIAA is among the one hundred largest corporations in the United States, serving over five million active and retired employees from more than sixteen thousand institutions. During the past decade, TIAA has become the largest global investor in farmland and agribusiness, accumulating over 1.6 million acres worldwide. In Brazil, TIAA is accused of evading national laws restricting foreign investments in farmland, a charge corroborated by both the New York Times and National Public Radio. In Guatemala, TIAA-linked investments are denounced as contributing to environmental destruction and human rights violations in palm oil operations according to a recent report in the New Yorker. Investing in farmland has increasingly attracted pension fund managers who see land as a shrinking and often under-valued resource that is more dependable than volatile financial markets. TIAA manages farms for its own clients as well as for other pension fund managers, such as AP2 of Sweden, the Caisse de dépôt et placement du Québec (CDP), and the British Columbia Investment Management Corporation (bcIMC), both of Canada. TIAA set up second global farmland fund in 2015, called TIAA-CREF Global Agriculture II, and added the New Mexico State Investment Council, Cummins UK Pension Plan Trustee, the UK’s Environment Agency Pension Fund, and the Greater Manchester Pension Fund of the United Kingdom to its existing investor pool. 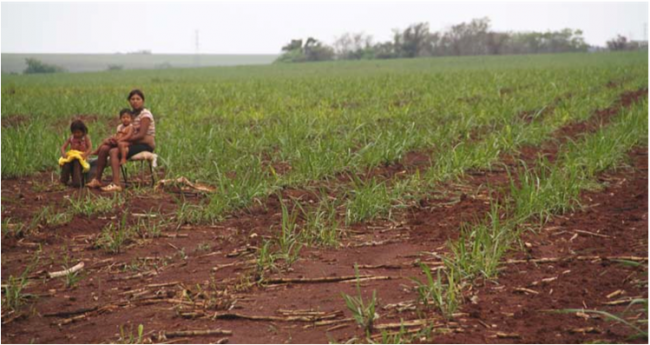 TIAA holdings in the vast northeastern Cerrado region of Brazil have more than doubled since 2012. Deemed one of the world’s twenty-five biodiversity hotspots and most threatened savannas, an estimated 40 to 50 percent of its vegetation is already destroyed while another 30 to 40 percent is degraded. Woodland is cleared at a rate local environmental groups call “alarming,” mostly for mechanized agricultural estates growing soy with large doses of pesticides. TIAA also bought land through local businessman Euclides De Carli, who has been accused by a state deputy in neighboring Maranhão, Manoel Ribeiro, of illegally seizing over a million hectares. De Carli allegedly hired armed men to force local people to leave the land, and is accused of arranging the murders of two farmers who resisted. Brazilian researchers have described how once people are forced off the land, grileiros (land grabbers) like De Carli obtain titles through forged documents and bribes. “Euclides de Carli is one of the principal grileiros of Brazil’s agricultural frontier,” Lindonjonson Gonçalves de Sousa, a local prosecutor, told the New York Times. Conflicts between grileiros and the poor posseiros (homesteaders) in the Cerrado date back to the 1950s. Most of TIAA’s Latin American investments in agriculture involve large scale agro-industries — soy in northeastern Brazil, sugarcane in Brazil’s southeast, and palm oil in Guatemala. Palm oil, found in everything from food to cosmetics to biodiesel, is expanding worldwide by approximately 10 percent each year. The oil’s astonishing productivity has rapidly transformed it into the world’s most-used vegetable oil, fueled by food manufacturers’ steady move away from trans fats. But it has also proven destructive: a 2012 article in Scientific American warns that land-clearing for palm oil significantly contributes to greenhouse gas emissions. And the US Department of Labor considers palm oil one of the world’s worst industries for forced and child labor. REPSA grows ninety-six square miles of African palm in Guatemala’s northern, sparsely populated Petén, a region that only a few decades ago, was almost completely rainforest. 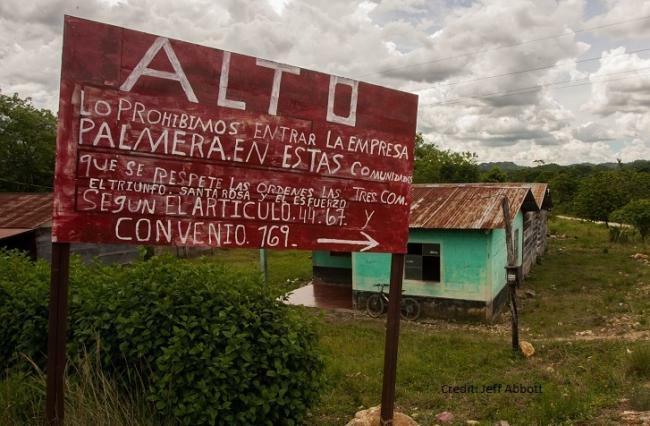 Land dedicated to palm exploded almost tenfold from 2000 to 2012, turning Guatemala into the region’s fourth largest producer. Growth is unlikely to slow as a 2010 Ministry of Agriculture study found that just 15.7 percent of the country’s land suitable for palm is currently in production. 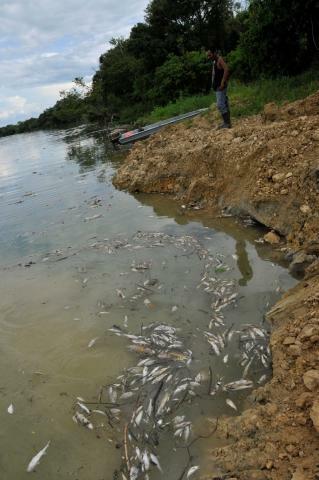 In early 2015, thousands of dead fish showed up along one hundred miles of the banks of the once unspoiled Pasión River that runs through Sayaxché, convincing Guatemala’s Ministry of the Environment and Natural Resources that the disaster was an “ecocide.” The suspected cause was a gigantic discharge into the river of organic matter from REPSA’s palm-oil mill effluent ponds. The spill destroyed the livelihoods of roughly twelve thousand local families. “People who lived off the river lost their houses because they couldn’t pay their bank loans,” fishing leader Evaristo Carmenate told the national press. TIAA’s investments in global farmland and agro-commodities have thrust it into a toxic brew of poverty, environmental degradation, and violence with a tragic history in both northeastern Brazil and Guatemala. The explosion of foreign-financed agribusiness has only intensified these dynamics, making any notion of sustainable and socially responsible investing appear a non-starter.